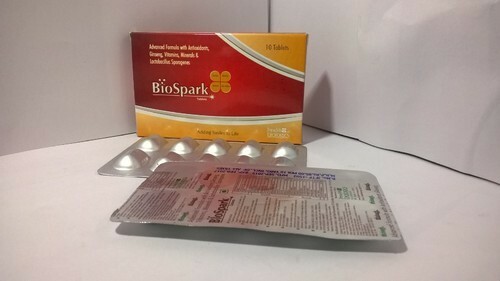 We,Health Biologics, are one of the reputed manufacturer, distributor and supplier of a wide variety of Pharmaceutical Medicines. Assortment of our offered medicines includes tablets, syrups, nutritional supplements, injections and capsules. Provided medicines are valued for the features like effectiveness, accurate composition, purity and stability. Due to their efficacy, these medicines are highly demanded in hospitals, medical stores, nursing homes and other health institutions. Moreover, our offered medicines are immensely recommended to cure multiple ailments related to respiratory, urinary & biliary tract, digestive system, diabetes, allergy, liver etc. With the help of our medicines, we lead to accomplish our mission "Add Smiles to Life"